Set includes: 1 x Right Facing Arm Units, 1 x Left Facing Arm Units, 1 x Middle Unit & 1 x Coffee Table. 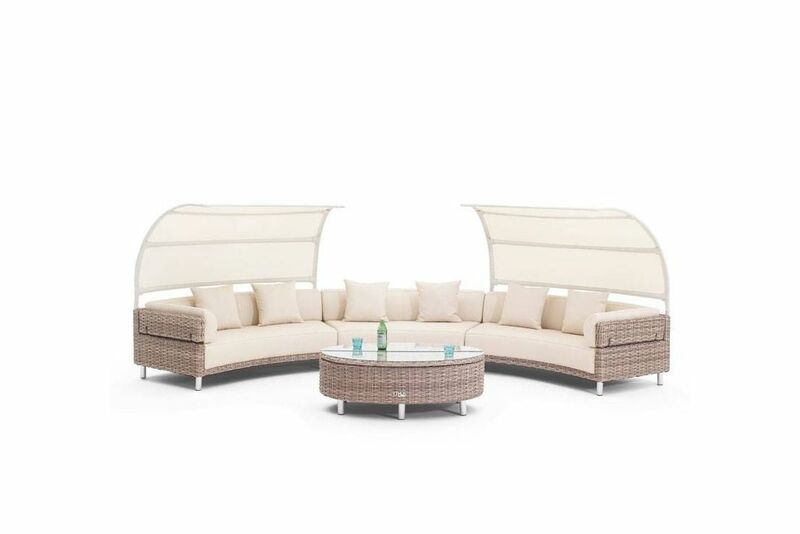 synthetic leather fabrics combine with outdoor rattan to offer the ultimate in comfort at a very reasonable price. All fabrics are stitched into the weave and filled with soft juicy fillings that have memory foam capabilities.